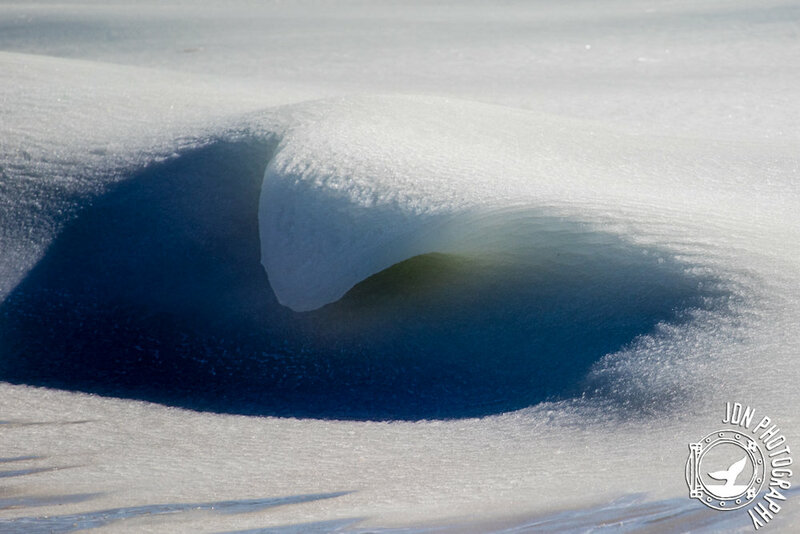 With a floundering temperature in the low, single digits this past week, I knew there was a good chance the Slurpee Waves would find their way back to Nantucket. Sure enough, on the morning of January 2nd I pulled my car up to Nobadeer beach and there they were. This time, two friends surfed just beyond the icy eddie, hooting and hollering and holding up giant icebergs above their heads in neoprene gloved hands. I ran up and down the beach, taking as many shots as I could of this freezing, fleeting show of nature. Slurpee waves are the kind of thing you might only be lucky enough to see once, so I count myself as very lucky to have seen them twice.